Collaborating with top students and academics from leading universities on your innovation challenge, learning what human-centric innovation really means and how it works, having access to hand-picked young talents, gaining insights into latest technology trends and networking with like-minded peers from a broad spectrum of industries - this is what the Service Design Thinking Program at the Karlsruhe Institute of Technology (KIT) is about. Subsequently, we provide you an overview of the respective program and outline how you can get involved. The SUGAR Network is a global network that brings together students, universities and companies to facilitate the application of human-centered innovation and design through a new learning experience. Please find more information on SUGAR in corresponding section on this website. Currently, the main focus of the SUGAR Network is the SUGAR Program. The universities of the SUGAR Network run a synchronized educational program, teaching the Design Thinking innovation approach to their students over the course of nine months. The local instantiations of the SUGAR Program at the participating universities usually have individual names. 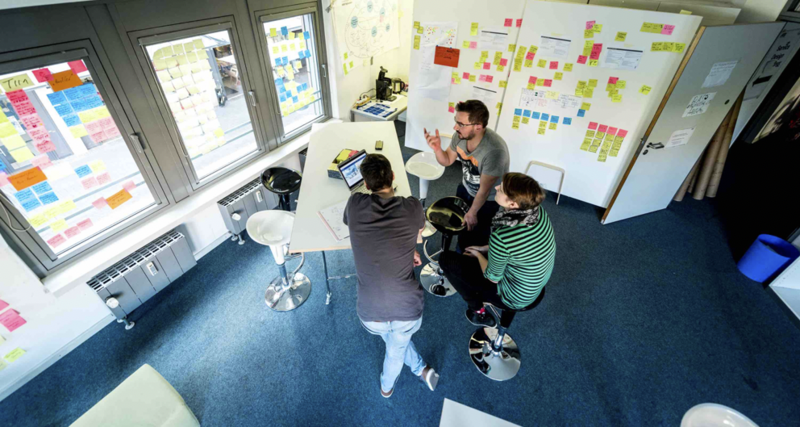 Given the general focus of the Karlsruhe Service Research Institute (KSRI) on (digital) services, the local name at KIT is the Service Design Thinking (SDT) program. Moreover, since the SDT program consists of one module and the module comprises of only one course, SDT program, SDT module, and SDT course are used synonymously. The Service Design Thinking program run by the Karlsruhe Service Research Institute (KSRI) is the local instantiation of the SUGAR program at the Karlsruhe Institute of Technology (KIT). 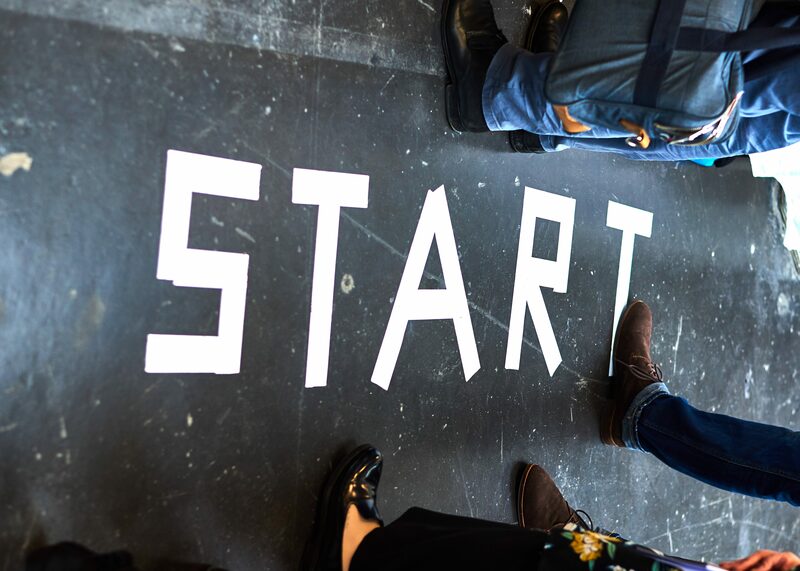 In a 9-months „hands-on“ class international top students work in small teams to develop disruptive innovations by applying the human-centric innovation approach Design Thinking. The participating students visit lectures on human-centric design and innovation and apply what they have learned to real innovation challenges provided by major companies. In order to facilitate the application of theoretical knowledge gained through the lectures to the respective projects, the student teams are coached by the lecturers as well as an extended teaching team. In the SDT program, international student teams work on corporate innovation challenges. Each team is composed of 3-4 KIT students and 3-4 students from a SUGAR partner university (e.g. University of St. Gallen, Linköping University, Trinity College Dublin). The two sub-teams work together remotely using digital collaboration tools most of the time. However, sporadic mutual team visits are encouraged and at the discretion of the students. Feel free to also visit the For Students page to learn more about how the students participating in the program are selected. The team closely collaborates with three parties, the corporate partner as well as the two lecturing teams of their respective universities. On the corporate side, the team regularly interacts with a so called project liaison on a more operational level. In addition, a project sponsor is involved more sporadically at milestone meetings and when major decisions need to be taken. In terms of the two universities, the team is supervised and coached by the two program directors (usually professors) and the teaching teams, which comprise of lecturers and coaches. The coaches , also called Teaching Assistants (TAs) are mostly participants of the SDT program from previous years. To be operationally functional, each team receives a prototyping budget which they can use for purchases needed for prototypes as well as travel expenses for aforementioned team visits. The teams are encouraged to organize themselves. The actual duration of the project is nine months. It starts in October and ends in the subsequent year in June. Prior to the project kick-off, the corporate partners agree on the collaboration in general, jointly identify an appropriate innovation challenge, and chose the SUGAR partner university. From mid-September to early October the student teams undergo a warm-up phase which includes education in Design Thinking basics as well as team building exercises. In October the actual projects start with a Kick-Off at the partner companies followed by the Global Kick-off (GKO) of the whole SUGAR community, i.e. all 20+ universities with all their students and corporate sponsors and liaisons (if wanted). Subsequently, the teams work on their challenges. In December and March two interim presentations provide opportunities for the teams to present the results they have achieved so far. Apart of the own team, the corporate guests get to see a broad spectrum of teams with their challenges and prototypes at these events. The events take place on a regional level, e.g. central Europe, and are designed to facilitate networking among the corporate partners as well as receiving methodological, technical, and organizational impulses. In June, the teams present their final prototypes at least two times. Firstly, a large presentation event similar to the two aforementioned interim presentations is organized on a regional and perhaps even global SUGAR level. Teams will pitch on stage and showcase their solutions at a booth. Finally, the teams visit the sponsoring companies for a hand-over workshop. Most corporate partners reserve roughly half a day for these hand-over presentations and invite a wider audience from inside the company including senior management level. The teams share a design studio with several rooms. On average, each participating student invests about two days per week on the SDT program, within the semester as well as in the semester breaks. Throughout the project, the teams closely collaborate with the liaison of their respective corporate partner. Mostly, weekly or bi-weekly status calls are set up. In addition, the corporate liaison and sponsor have a regular joint call with the teaching teams of the two universities. This helps to achieve alignment on all sides. On a monthly level, the teams send a one-pager to the corporate partner summarizing the latest steps. Roughly at the time of the milestone presentations (December, March, June) the partner companies receive a project documentation. Outside the Box Solutions: The project teams work with high commitment, an outside perspective and methodological guidance for a fairly long time on their innovation challenges. In general, this leads to solutions that differ quite a bit from solutions resulting from internal innovation projects. Qualitative Market Data: Throughout the project, the teams engage in intensive need finding, persona building and challenge redefinition. This data is very interesting to the sponsoring companies. Recruiting Opportunities: Over the nine months project period companies work closely with their team but also regularly meet the students from other teams, working on a different challenge in parallel. All of the students come from renowned universities and undergo a strict selection process to participate in the program. These facts plus the Design Thinking training they receive and the practical experience they gain in the program makes them highly attractive talents for most companies. Methodological Knowledge: By working closely with the teams and the lecturers of the program, the companies gain a solid understanding of human-centric innovation. Design Thinking is not about sticking PostIts to the wall in Workshops. It is about deeply understanding humans, their needs, preferences and behavior and creating solutions that address these needs and preferences and fit to the behavior. Spirit: Our company partners keep telling us that the SDT/SUGAR program and the community around it carry a certain entrepreneurial spirit they perceive as vitalizing for their organizations. Many of our corporate partners participate in the program for several years. However, we are always looking for opportunities to expand our corporate partner network and receive new types of challenges. So, if you are interested in participating in the program please do not hesitate to get in touch with us. We are happy to provide you more insights into the program and discuss potential challenges with you.